The recipe is an adaptation of a quiche I first tasted at a Master Gardeners potluck many years ago. It was the best quiche I’d tasted in ages, so of course I pestered the cook for the recipe. 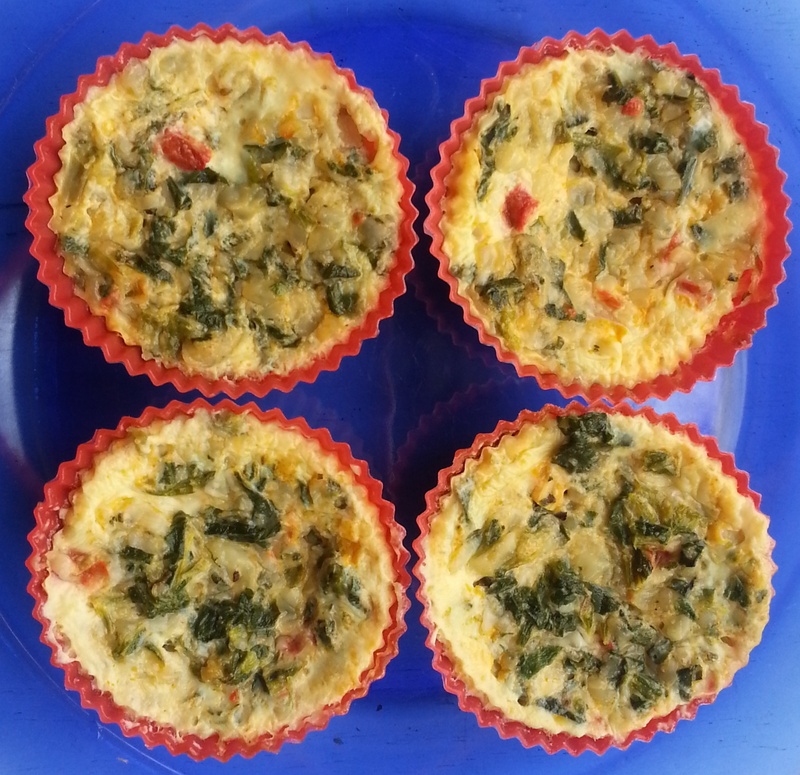 It turned out to be something she’d clipped from a supermarket circular The secret ingredient is cottage cheese, which gives it a nice tangy flavor, as well as a lower fat content and more protein than a traditional quiche containing cream. Transfer to a muffin tin that has been greased or lined with silicone or foil liners. Bake at 350°F for 30 to 35 minutes, until tops are set and slightly golden. Set on cooling rack. 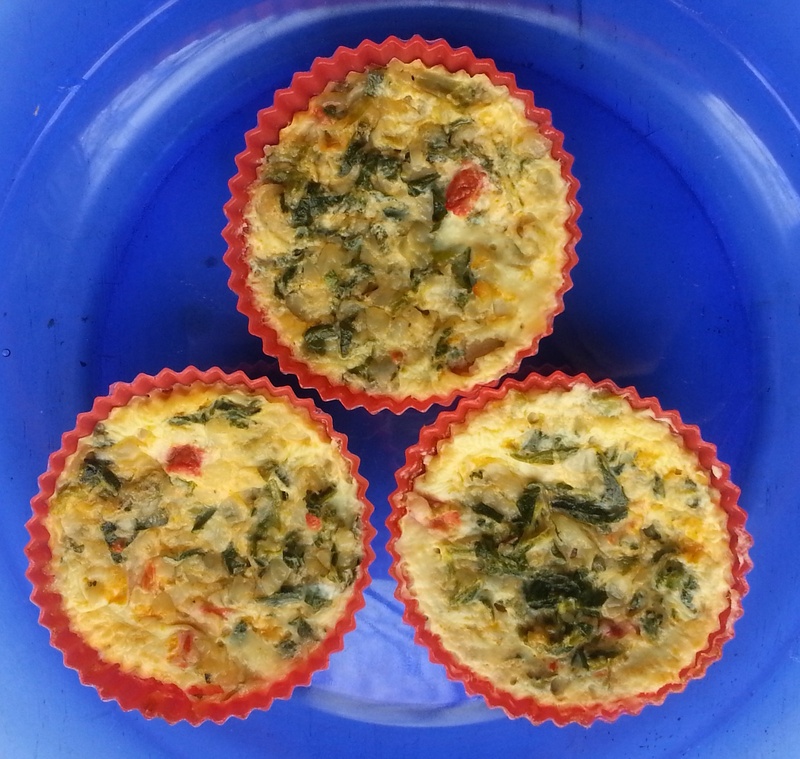 Let cool 5-10 minutes before removing from muffin tin and serving. I make heaps of frittata etc and always have some cottage cheese in the fridge - but never thought of the substitution for cream, so thanks for the inspiration! I have even used yogurt at times. It tastes a little like there's feta or another tangy cheese in there -- but it's much cheaper than cheese! Yes agree have tried yoghurt too. Thanks!